It’s been quite a long time since I blogged. And blame it all on the hard drive crash which left me pretty disabled for more than a fortnight. Family recipes, treasured photographs along with a plethora of documents went down with the hard drive. I chided myself for not taking a backup, but it was too late. However DH fished them all out diligently. My prayers were answered, but the lessons were learnt the hard way. Coming to today’s post, the focus is on dried grapes or raisins for AFAM’s Grapes hosted by Swapna of Swad. In one of my previous posts, I had professed my love for milk and as usual I was on the hunt for a new recipe to flavor my favorite calcium rich food. To keep it simple I made a syrup which could be used to flavor milk, but it can be used to dress up any fruit salad, pudding or as a drizzle on cakes. Simmer all the ingredients on low heat till the water evaporates. Let it cool and blend to a honey consistency using a little water if necessary. To serve mix two tablespoons of this syrup with milk and serve warm or cold. Raisin syrup keeps well in the refrigerator for about 10 days. 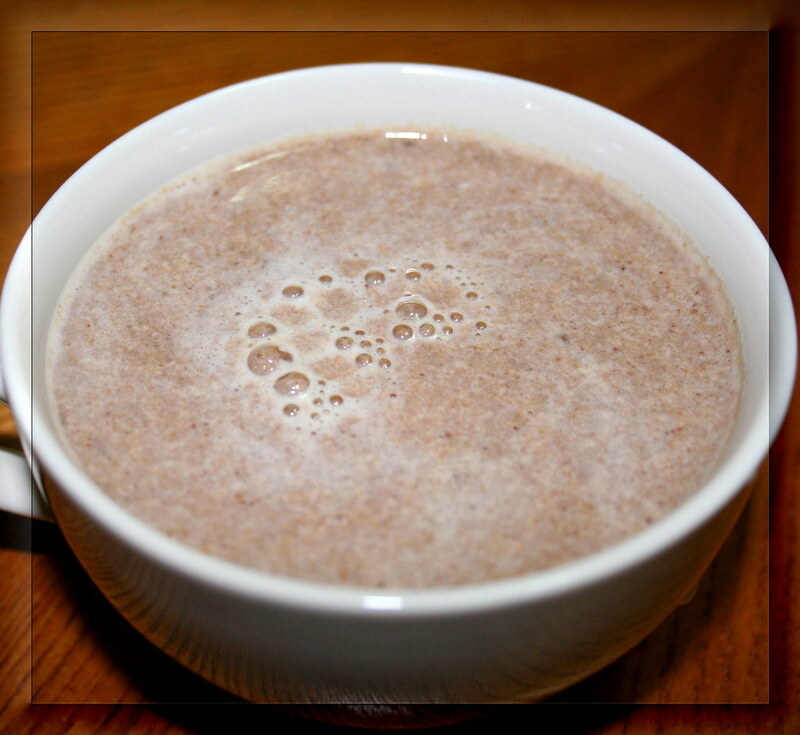 Check out yummy recipes and benefits of milk @ GotMilk and BodyByMilk and ThinkAboutYourDrink! UPDATE: Date Syrup can be made the same way using dried dates. The simmering time and the blending time would increase. You can remove the skin of the dates for a very smooth syrup and can substitute cinnamon for cardamom. Wish you all a very Happy Vinayaka Chathurthi!